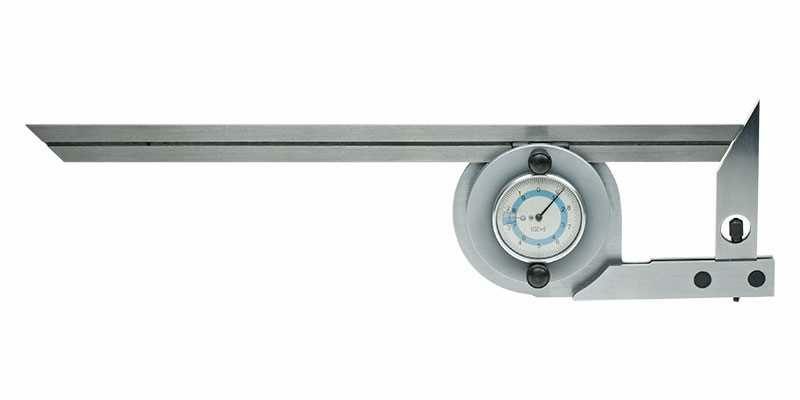 Measure angles accurately from 0° to 360° with the easy to read dial protractor. The small window to the left of the dial displays graduations every 10 degrees which is equal to one revolution of the dial pointer. 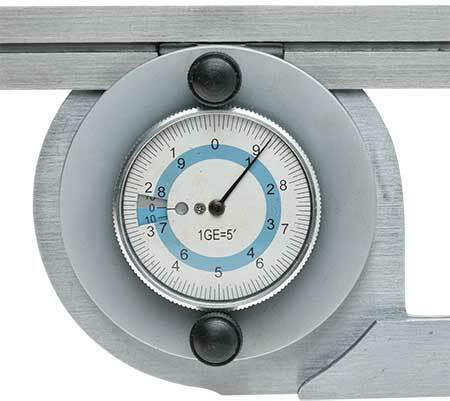 The dial itself is divided into degrees and 5 minutes of arc (0.08° or 1/12th of a degree). Supplied in a plastic case with 300mm long adjustable blade, 90° reference beam.